1- Months ago, an American young man was slandered and verbally abused in Istanbul, Turkey, and the American Foreign Office showed Turkey hell because an American citizen was humiliated. Protection of American citizens is a holy responsibility of any American president and all State apparatuses inside the USA. The same goes for West European citizens and the Israeli citizens; the Jewish Israeli citizen's corpse must be brought to Israel to be buried there. That is why every citizen of these countries feel proud to belong to them. 2- Things are different in Egypt; a citizen like ourselves is a law-abiding good citizen and an exceptional Islamic thinker writing hundreds of articles and books calling for peaceful reform, while asserting that we do not impose ourselves or our views on anyone and ask for no reward rom anyone, bearing any harm with patience as much as we can, never seeking authority, power, or wealth as transient possessions of this world are none of our interest or concern and we never vied for it; yet, the result of our peaceful intellectual endeavor for reform was persecution. Orders used to be received by Mubarak, the president of Egypt then, from the KSA to persecute us. This president obeyed the orders of this foreign unjust country by persecuting us, our family members, and all our supporters. At such cases as these, we felt that our Egyptian nationality as a burden and a disgrace; because we are a free, self-respecting citizen who was being betrayed and sold by a president (i.e., Mubarak at the time) of our country, Egypt, for the sake of gratifying a foreign oil-rich country. Such betrayal and persecution were suffered by us; we cannot forget nor forgive. Hence, we will here in this article allow ourselves to describe rightly – without slandering or verbal abuse – those criminals who perpetrated these crimes against our person: 1) the former Egyptian president the base, mean thief M. Hosni Mubarak who used to rule Egypt which was disgraced by him, and 2) the Sodom and Gomorrah Monarchy; a.k.a. the KSA. 1- We have lived feeling our Egyptian nationality as a disgrace; as the former Egyptian president the base, mean thief Mubarak who stole billions made us be reduced into abject poverty until we became penniless at the time. We lived then dire times of impecuniousness that lasted for some duration, to the extent that we wished to return to the prison cell because we felt ashamed of being penniless and unable to spend on the necessities of life for our wife and sons. We remember keenly and sharply dire times when we would receive unexpected guests at home while our fridge contained no food at all, when we had no money to buy new clothes and shoes for our sons at feasts, and when our last pen had no ink left and we had no money to buy another new one. We remember when we have written a research and our dear late friend, Dr. Farag Fouda (who was later on assassinated by Wahabi terrorists) promised us to deliver this research of ours to a publishing house in Tunisia; we had no enough money at the time; we had to choose between public transportation between our Cairene house – in the densely populated lower-class Al-Matariyya District – and the office of Fouda in upper-class Madinet Nasr District in Cairo, or to photocopy our research manuscript. We of course chose the former and not the latter to get the manuscript as soon as possible to our friend; we had no money left to photocopy the manuscript. It was possible to ask the clerk at the office of Fouda to photocopy the manuscript to keep ourselves a copy, but we felt too shy to ask Fouda to make his clerk do so. Sadly, Fouda lost the manuscript in Tunisia and it was never published. Thus, abject poverty prevented us from photocopying this manuscript that took months on end to finish; it included a valuable paper titled "God's Sharia and Sharia of Human Beings''. When we re-wrote it, shortly before we finished it, Egyptian policemen came to arrest us upon orders of the Sodom and Gomorrah Monarchy; the KSA, and the manuscript along with other manuscripts of other books were confiscated, after months of sweating and toiling to write them for months, but we had not enough money to photocopy them before. Such abject poverty and hunger suffered by us at the time in the 1980s was caused by former Egyptian president the base, mean thief Mubarak upon receiving orders of the Sodom and Gomorrah Monarchy; the KSA. That is why we say here that we have lived feeling our Egyptian nationality as a disgrace. 2- Obeying orders issued by the Sodom and Gomorrah Monarchy, the Egyptian authorities made Al-Azhar University try us within an inquisition-like investigation on 5th of May, 1985 as we were accused of the 'crime' of having authored five books to teach them to our students. The decisions taken against us after this inquisition included confiscating all our dues of money as an Assistant Professor, receiving no salary at all from now on, preventing us from leaving Egypt, and preventing our promotion, until we 'repent' in public. We have tendered our resignation to Azharite high-rank men and left Al-Azhar University forever; yet, they managed alongside with Egyptian authorities to prevent us earning our living by any means. At one point, we have accepted to be a partner in a small takeaway restaurant delivering dishes and sandwiches of beans and falafel in the Cairene densely populated low-class Ard Al-Lewa District (away from our residence in Al-Matariyya District), but the Egyptian authorities did not leave us alone; they arrested us along with many of our fellow Quranists in the very first wave of arrest, based on the orders issued by the former Egyptian president the base, mean thief Mubarak upon his receiving orders of the Sodom and Gomorrah Monarchy; the KSA. That is why we say here that we have lived feeling our Egyptian nationality as a disgrace. 3- The second wave of arrest suffered by Quranists took place based on the orders issued by the former Egyptian president the base, mean thief Mubarak upon his receiving orders of the Sodom and Gomorrah Monarchy; the KSA. Shortly before it, the Ibn Khaldoun Center, where we worked, was closed down and we had to open a bookshop, and we named ''Sameh Bookshop'', to earn our living, but the Egyptian authorities did not leave us alone; when we got news of the date of our imminent arrest, we fled two days before it to the USA, to save our life and dignity and to put an end to long years of feeling our Egyptian nationality as a disgrace. 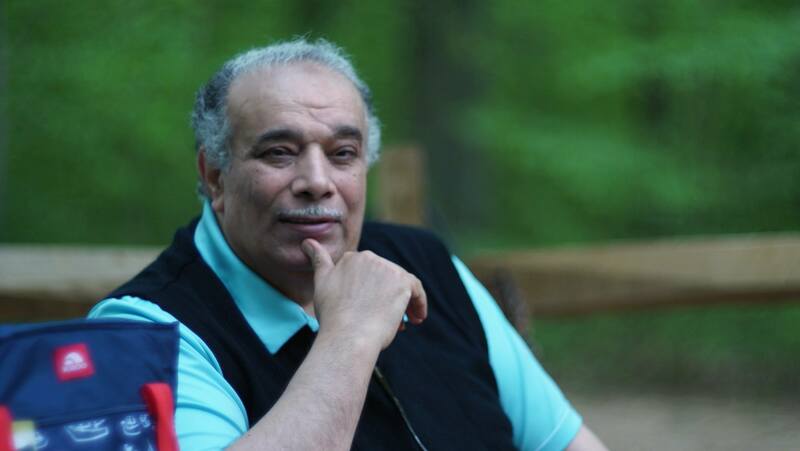 1- Inside the USA, we are still feeling our Egyptian nationality as a disgrace; despite being an American citizen since 2014 and we take pride in it. Inside the USA, we know the meaning of liberty and dignity, even before we receive the American citizenship as a political asylee, even when we have criticized American policies inside American institutions. Inside the USA, we know many rights of which we were deprived when we resided inside Egypt. We know then the degree of utter humiliation we suffered by the former Egyptian president the base, mean thief Mubarak upon his receiving orders of the Sodom and Gomorrah Monarchy; the KSA. 2- Until now, we are still feeling our Egyptian nationality as a disgrace; as we see the current Egyptian regime begging for money from the Sodom and Gomorrah Monarchy; the KSA, as well as from other Gulf monarchies, and all of them impose their conditions and stipulations or refuse to donate anything to Egypt. 3- Until now, we are still feeling our Egyptian nationality as a disgrace; as we see the Egyptian President Abdel-Fattah Al-Sisi controlling and dominating Egypt alone; within the last few weeks, he imprisoned for long terms leaders of the revolution and set free the former Egyptian president the base, mean thief Mubarak and his sons, while not punishing policemen who killed the young female Leftist activist Shaymaa Al-Sabbagh. We tend to think that the Egyptian President Abdel-Fattah Al-Sisi has lost his bet over the Saudi King Abdullah (and Al-Tuweirji and Miteib) against the wing of Al-Seideiry that will soon take rule over the Sodom and Gomorrah Monarchy; the KSA. The worst failure is to lose military control of the Sinai, as terrorists are still there. Such defeat by terrorists in Sinai is in contrast to total control over Egyptians in the Nile valley while asking for help from oppressed Egyptian citizens, while prices of all goods are soaring high and so is the price of US$. Strangely, the Egyptian President Abdel-Fattah Al-Sisi travels a lot to many countries worldwide; one may ask: is he fleeing failure inside Egypt? Why is he sweet-talking the citizens in his speeches? 1- The Egyptian political leader Mustapha Kamel (who died prematurely in 1908) used to say a phrase that has been often quoted a lot inside Egypt: "If I were a non-Egyptian, I should have liked to be an Egyptian." Of course, at the time, he had every possible reason to feel and say so. At the time, however, Egypt was a British colony, but the colonizers were civilized (compare the Denshawai Incident committed by the British to the massacre committed by the Egyptian army officers after 2011 revolution). At the time, Egypt was a liberal country, and the Sodom and Gomorrah Monarchy; the KSA, has not come into being yet. At the time, the price of 20 eggs was one millime (i.e., 1/1000 of the Egyptian pound: ''L.E. ''), the price of one kilo of gold was 98 piasters, and the price of one US$ was 10 piasters. At the time, Egypt had a parliament and political parties, including the party founded by Mustapha Kamel. Before that time, Egypt had the second railways in the world, after GB, and the second cinema industry in the world, after France. Cairo was more clean and luxurious than most West capitals in Europe. When the 1952 military coup reached the rule of Egypt after the ouster of King Farouk, GB was indebted with the large sum of 55 million pound Sterling to Egypt. In contrast, now in Feb. 2015, the US$ price is more than 8 L.E., the price of an egg is about 1 L.E., and Egypt is indebted with billions to other countries apart from internal deficits. Egypt can no longer pay banks interests. The former Egyptian president the base, mean thief Mubarak sold the gas of Egypt to Israel, but now, Egypt is buying it from Israel, and it is rumored that Egypt has left its rights in Mediterranean Sea oil to Israel. Egypt can no longer militarily dominate Sinai; the current regime succeeded only in oppressing Egyptians, in spreading hunger among them, and in begging from the Sodom and Gomorrah Monarchy and naming it in Egyptian press ''the Bigger Sister''! The current regime has forced Egypt, the oldest nation on earth and the seven-millennia-old civilization that is the Mother of the World Civilization, to beg from a minor collapsing kingdom born in 1932. 2- If Mustapha Kamel were alive now in 2015, he would have been imprisoned by Al-Sisi where he would have been tortured and raped; he would say then: We have lived feeling our Egyptian nationality as a disgrace!